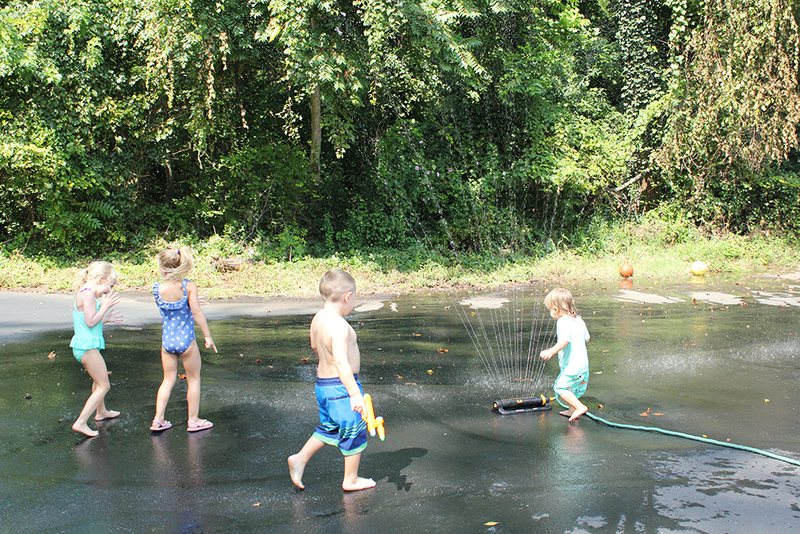 Summer is coming to an end so we decided to celebrate the sunshine and school starting soon with a Water Bash! 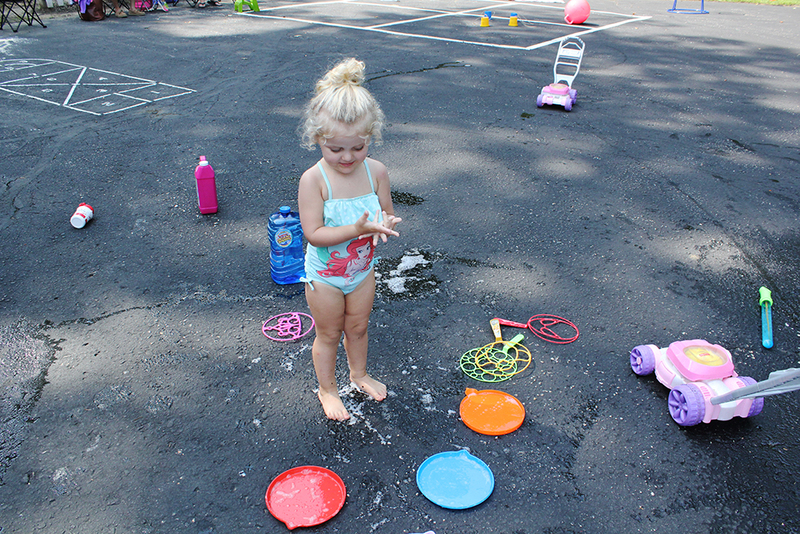 We busted out the sprinklers, water tables, bubbles, sidewalk chalk and all things fun for the outdoors and let the kiddos go to town on the blacktop and playground. 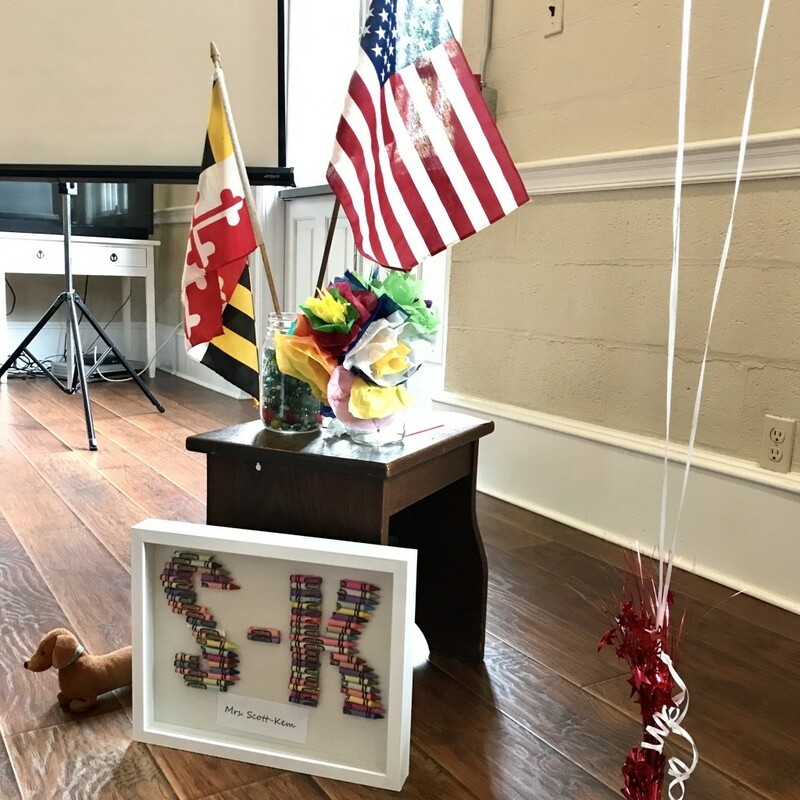 I think it was a great ice breaker for new families to meet each other and our children to get to know their classmates in a fun and laid back environment. And plus, there was pizza and cookies so.. lots of smiling faces! 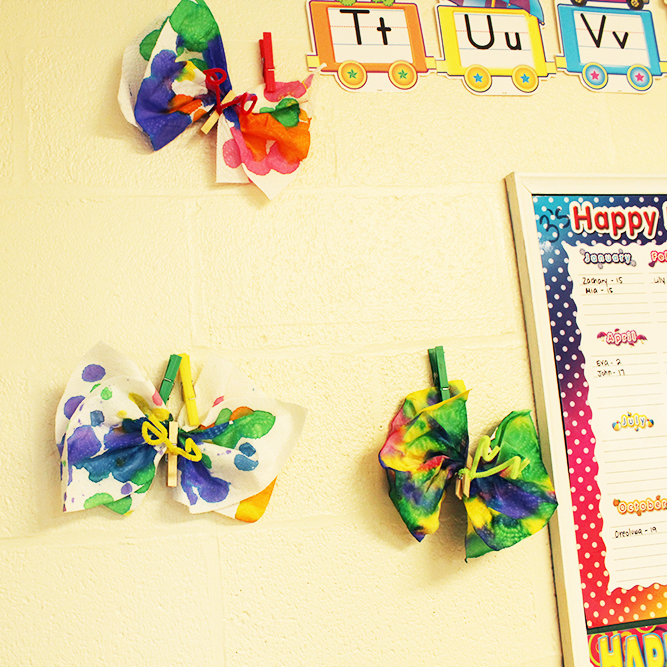 Part of me can’t believe Summer is already over and that we’re preparing to open our classroom doors next week for Class Orientations. 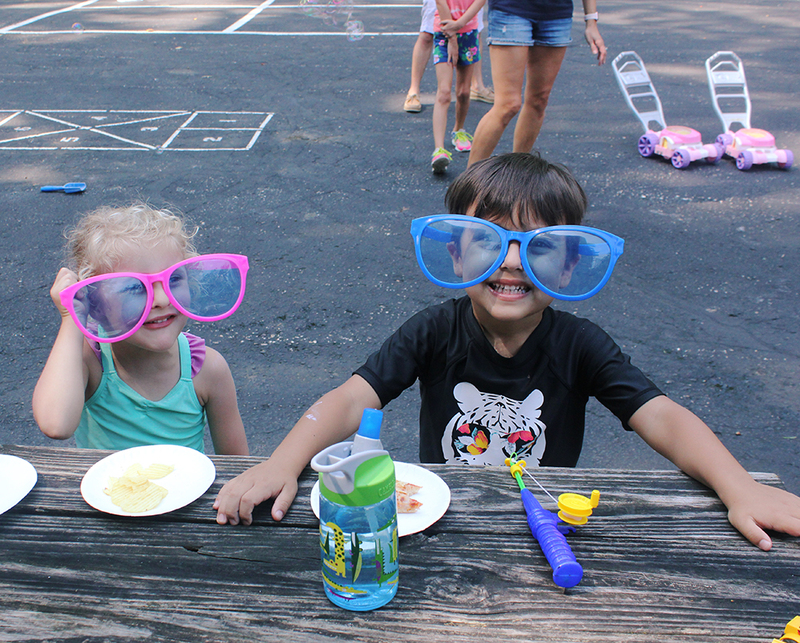 We’ll miss you Summer but we are so excited to have laughter, learning and smiling faces filling our classrooms again. Summer break is officially here and our school is almost unrecognizable with everything stored and covered. 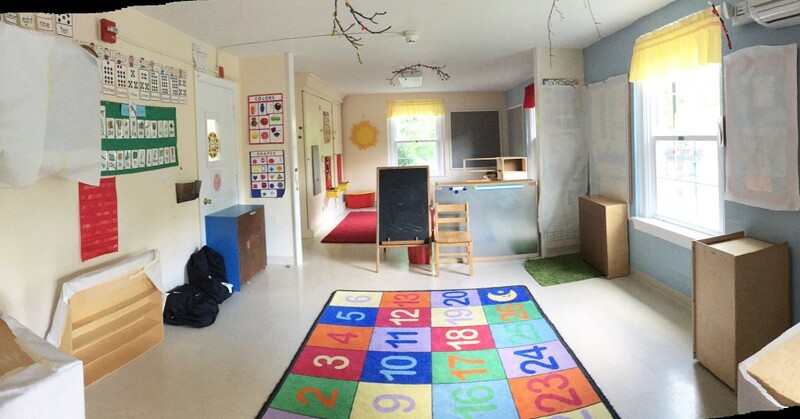 We sure will miss the laughter and learning in this happy space and can’t wait for a new group of eager children to join us in the Fall! 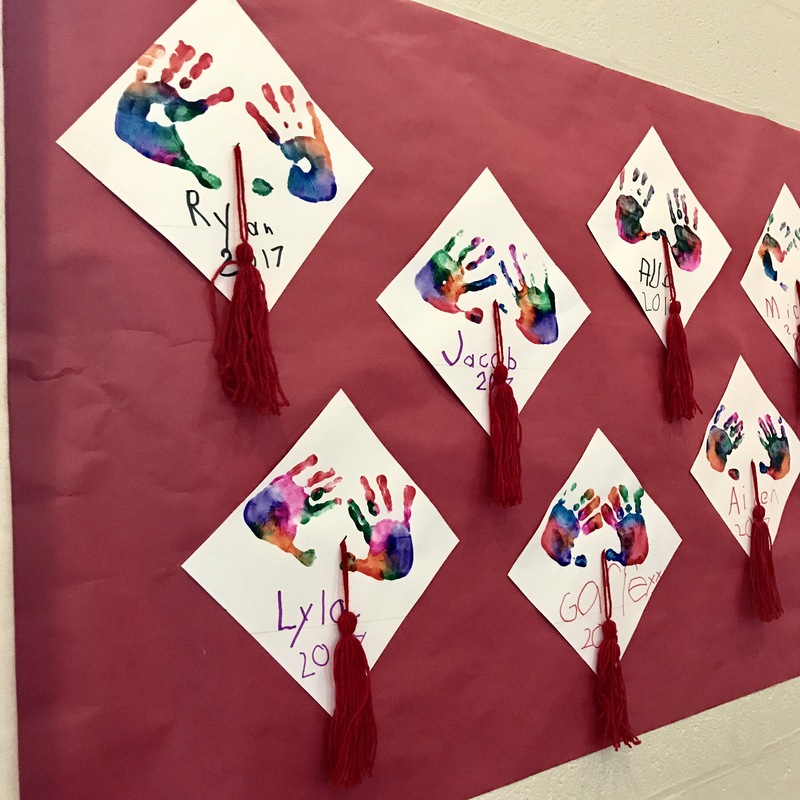 Our wonderful 4-year-olds graduated from preschool and are ready to take the next big step towards Kindergarten! We are so proud of how much they have accomplished and grown this year. 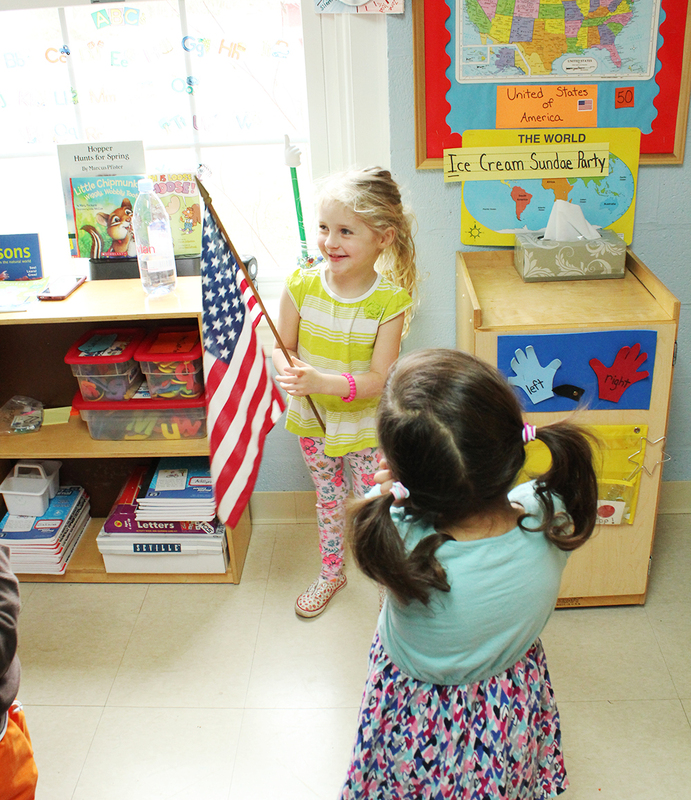 During the ceremony they sang some of their favorite songs from all the different seasons and recited some poems. The parents put together a special slide show complete with baby pictures that had the kids giggling and guessing who it was. It was adorable! Thank you to all of our families who came to celebrate! 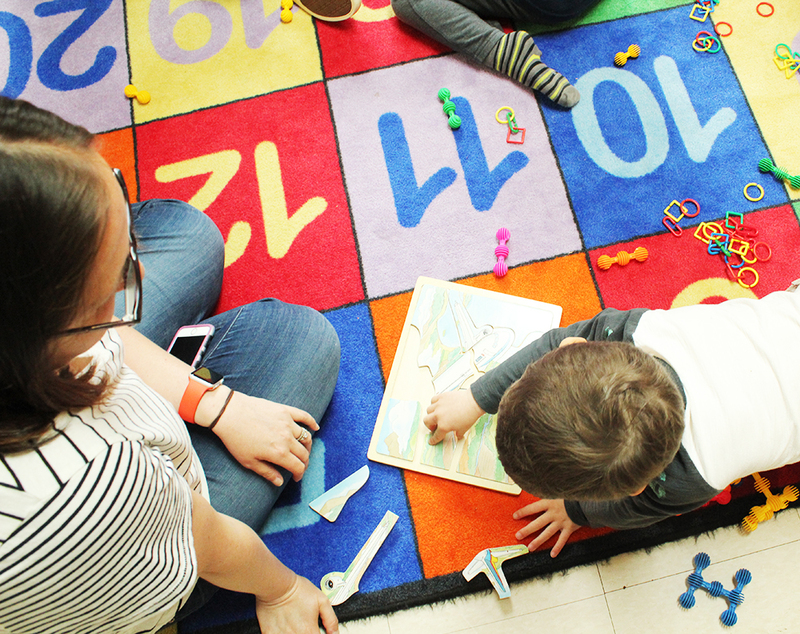 We can’t wait to watch your children blossom in our community for years to come. Don’t forget to come back and visit us! 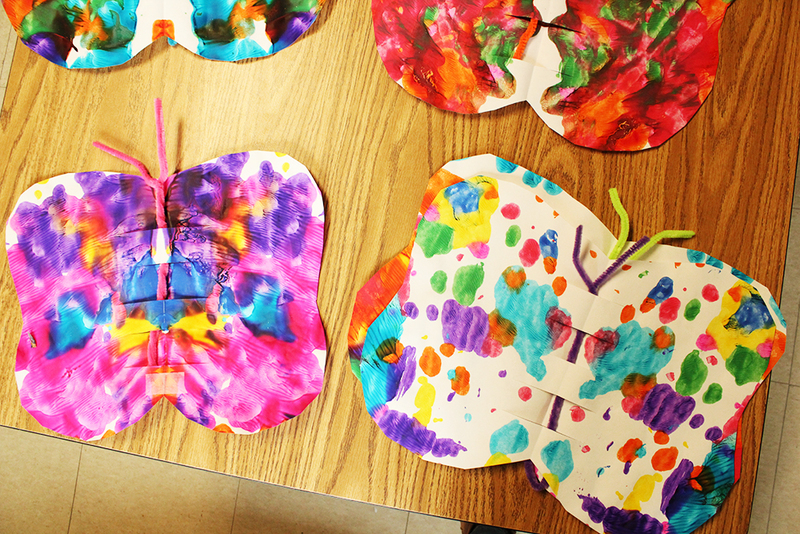 Our favorite Spring transformation… butterflies! 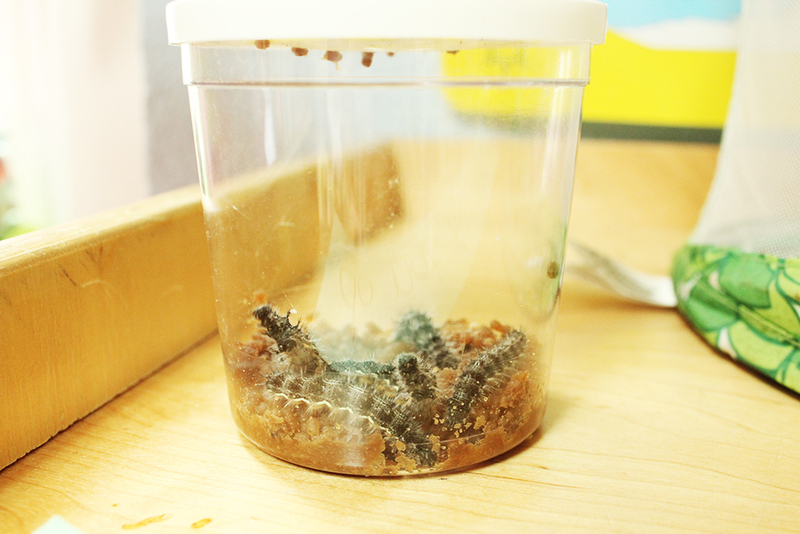 Our school received our caterpillars for one of the most exciting class projects of the year. 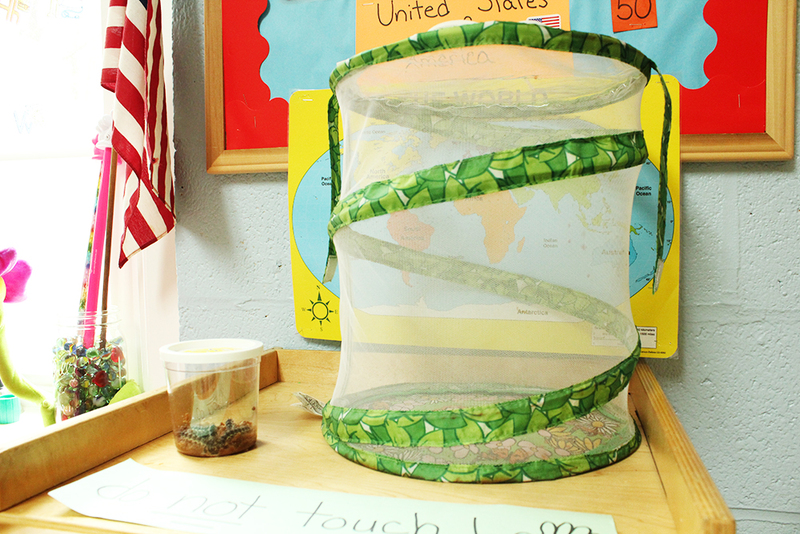 Our students will care for the caterpillars and watch as they build their cocoons and eventually turn into beautiful butterflies! 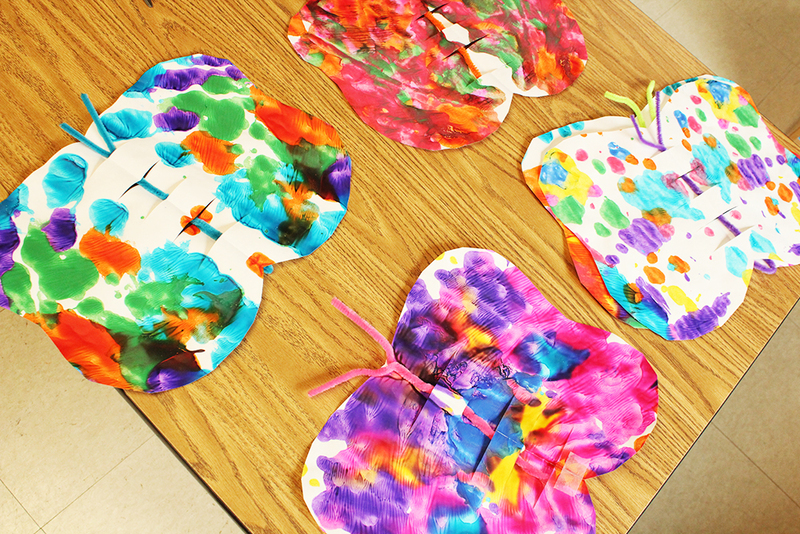 The students have been talking a lot about the symmetry of a butterfly and used a folded piece of paper to create their own symmetrical butterfly paintings. 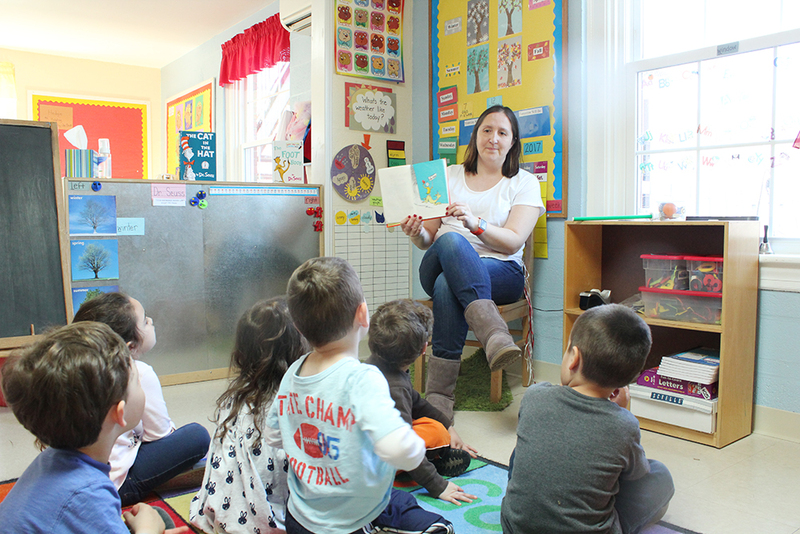 They also read Eric Carle’s The Very Hungry Caterpillar to talk about how the caterpillar needs to grow and eat nutrients before it can spin it’s cocoon and transform. 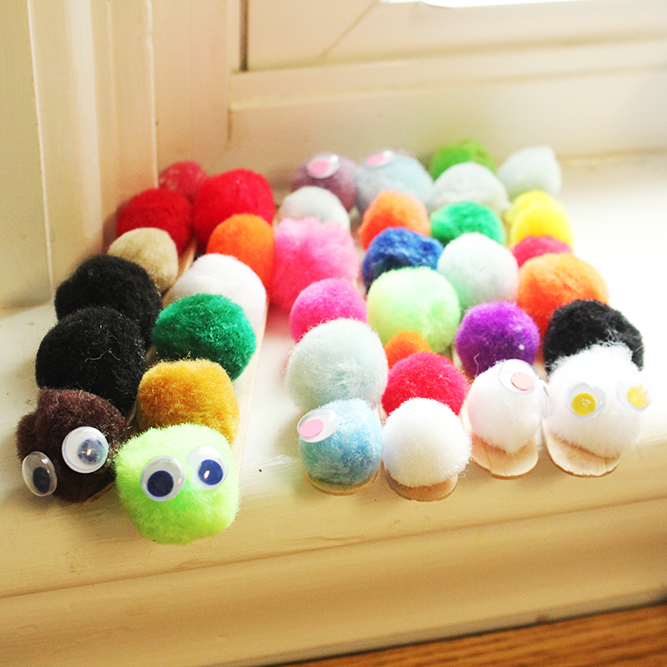 We love watching our caterpillars grow and transform, just like our blossoming children! 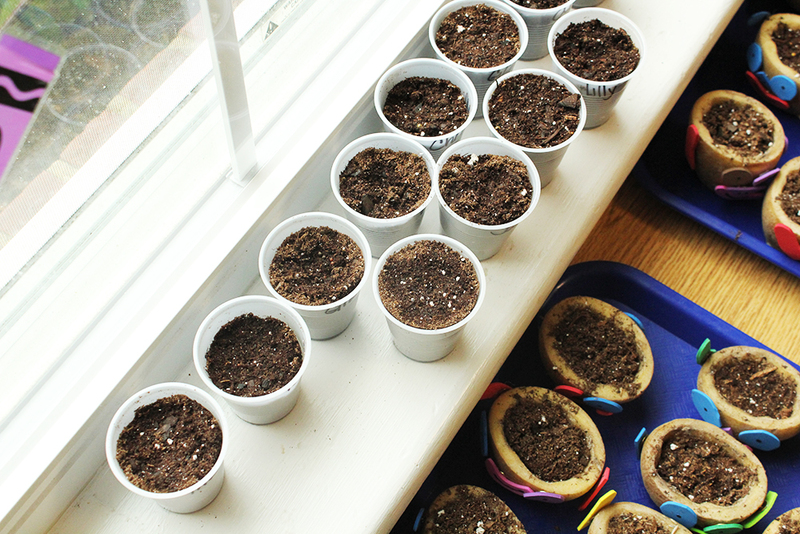 May is upon us and we are so excited to watch our newest sprouts break through the dirt! 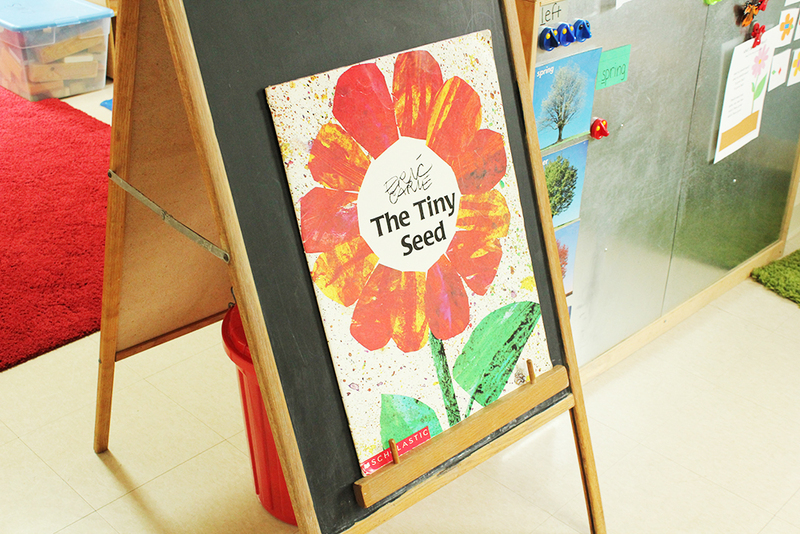 Our 3’s read “The Tiny Seed” by Eric Carle and arranged plants in order from seed to sprouts and root growth all the way through to a full grown plant. They talked about things plants and flowers need to grow, like dirt or soil (a new word for some of them), water and air. 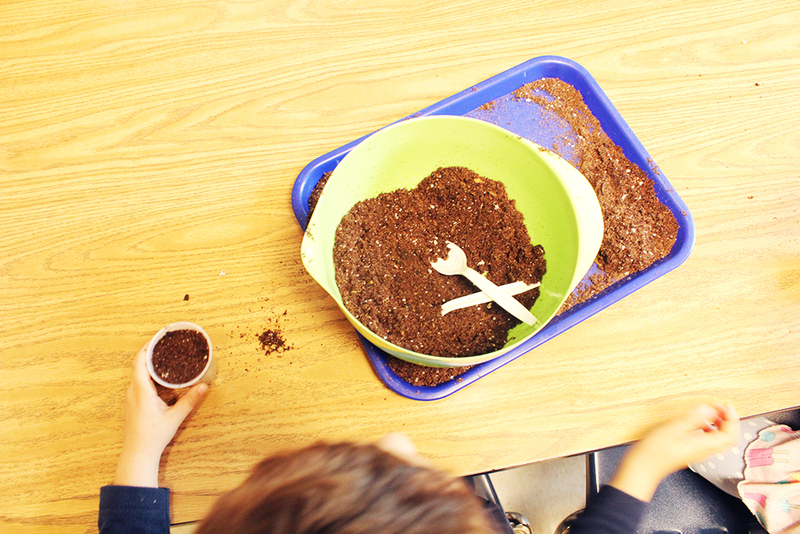 Then they got to plant their own seeds and put their new knowledge to the test. Our 3’s planted a mixed seed of microgreens that will grow very quickly. 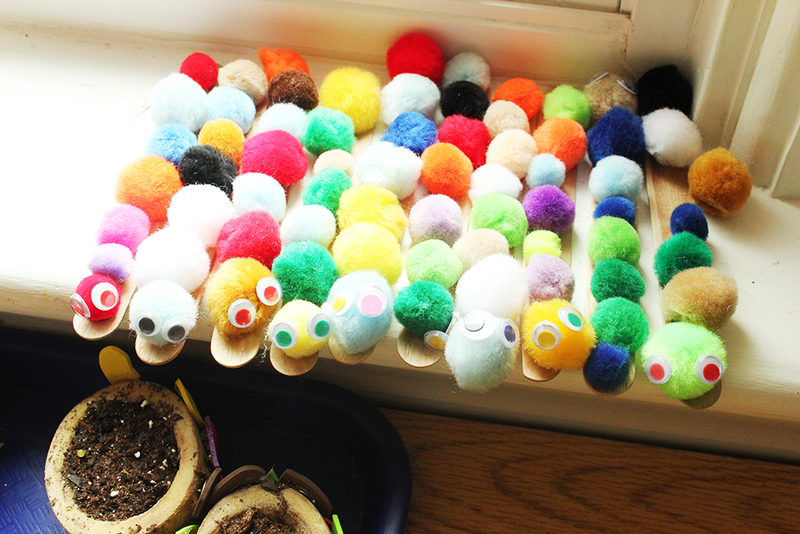 They’re hoping to see sprouts in one short week! Our 4’s decorated their own potato head planters. 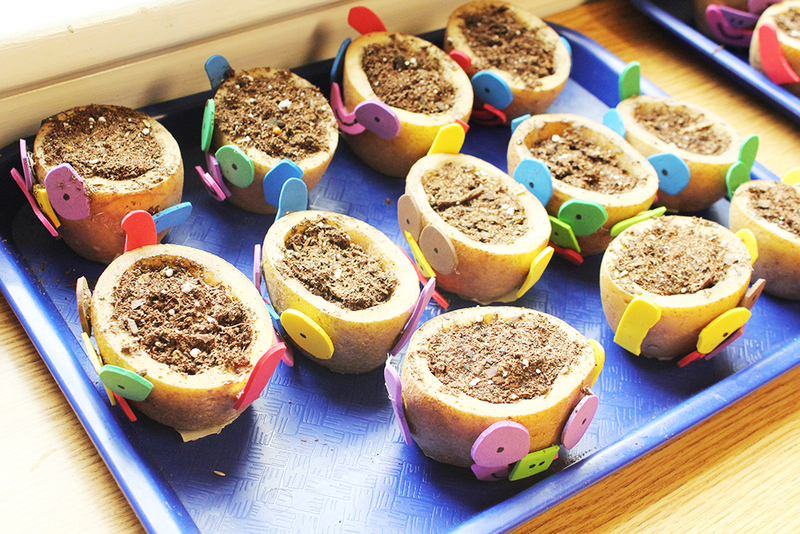 They planted grass seed so their potatoes will eventually grow hair! Too fun! 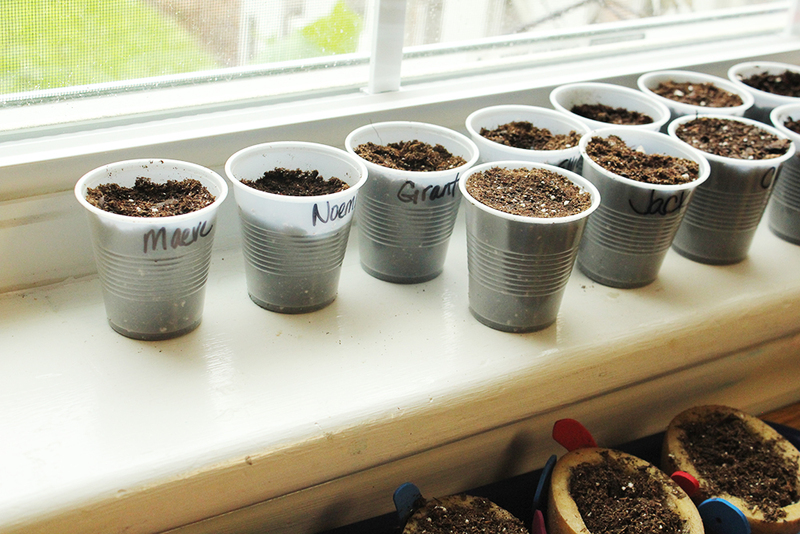 Now they’ll be caring for their plants in class until they’re sprouted and ready to go home. We have had a wet couple of weeks here in Maryland. 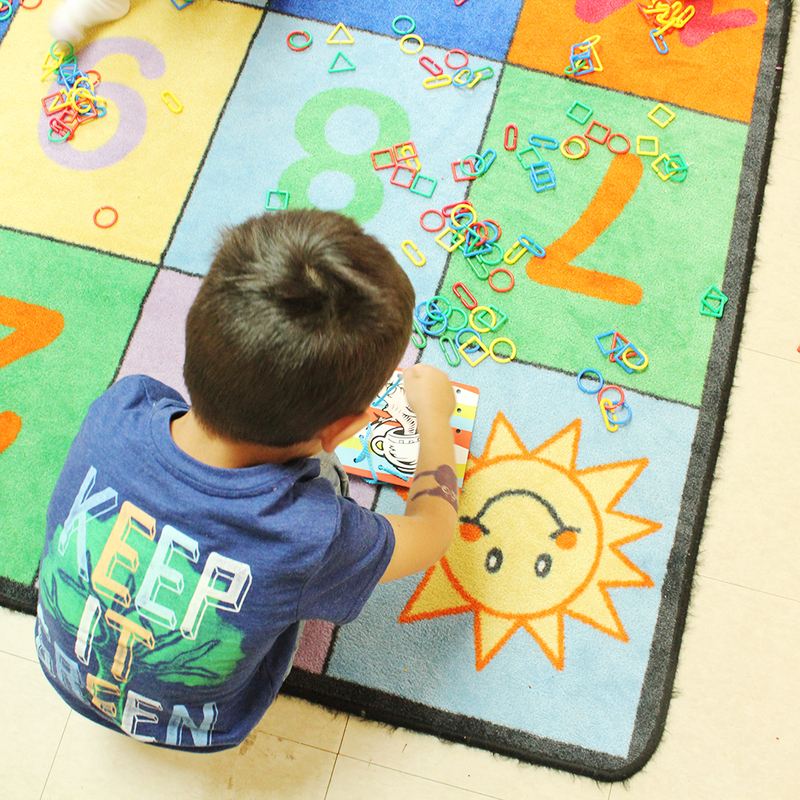 While we love that the flowers and plants are getting all the water they need to grow, it can be a little crazy in the classroom when our little ones can’t get their jitters out on the playground. 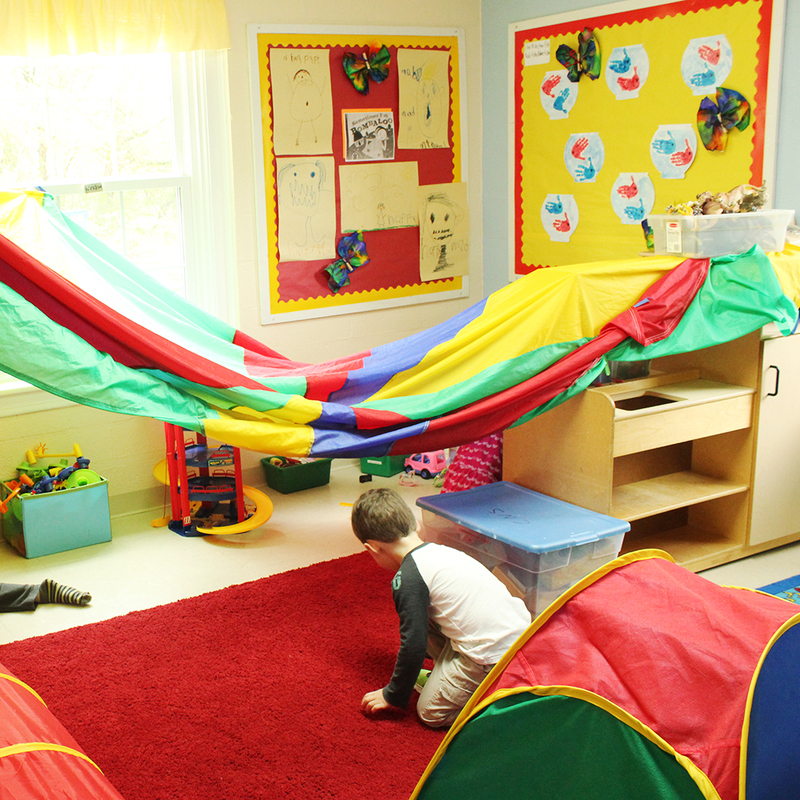 Cue dance parties, wiggle breaks and fort time! 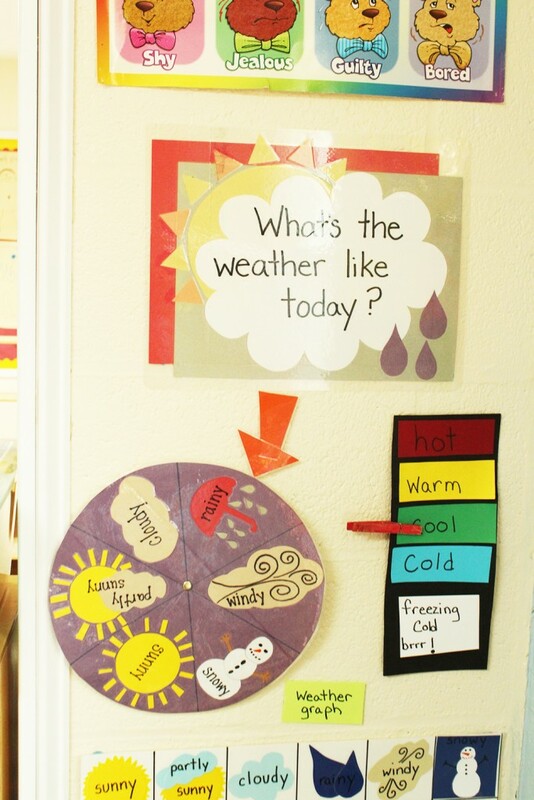 The sun is out today and we are happy to see it! 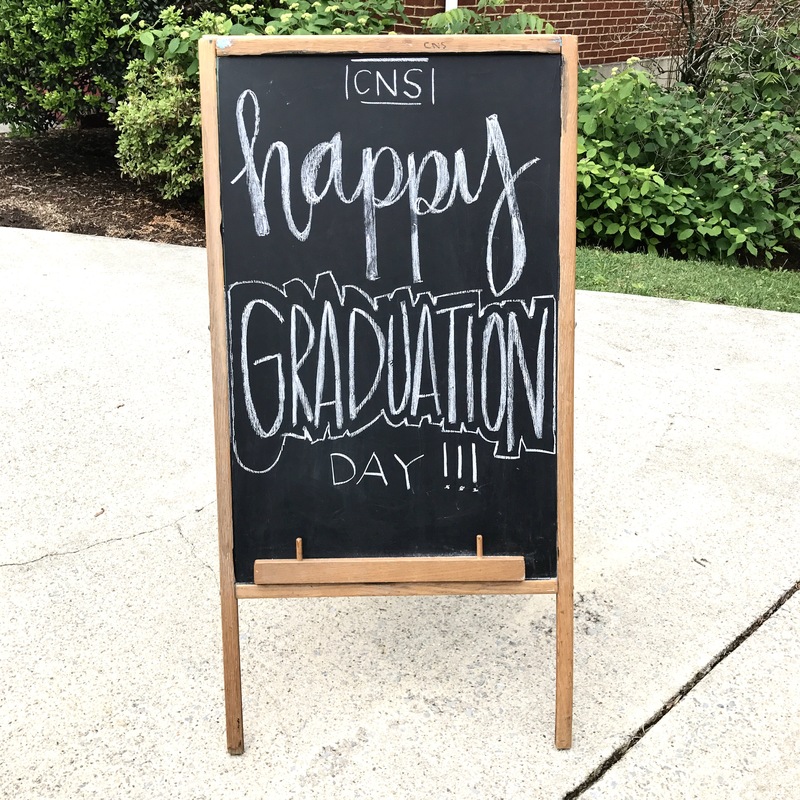 Sometimes the weather doesn’t allow us to get outside but that won’t stop us from having fun at CNS! Singing and dancing along with Mrs. Scott-Kem in the 4’s class brightens even the coldest days! The kids have a blast while they learn new songs and have to focus and remember the words and moves while they dance along. Just look at how much fun everyone is having! 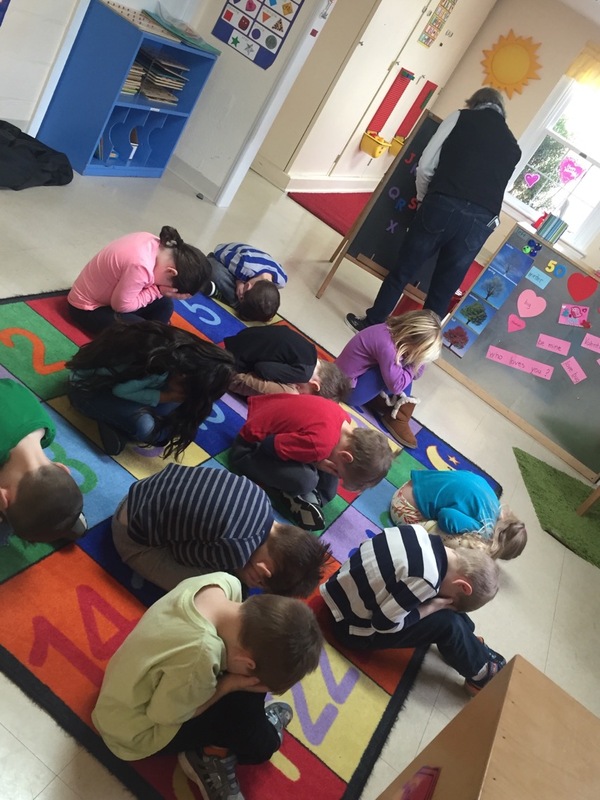 The kids burn some extra energy and learn why it is important for us to stay active to be healthy. 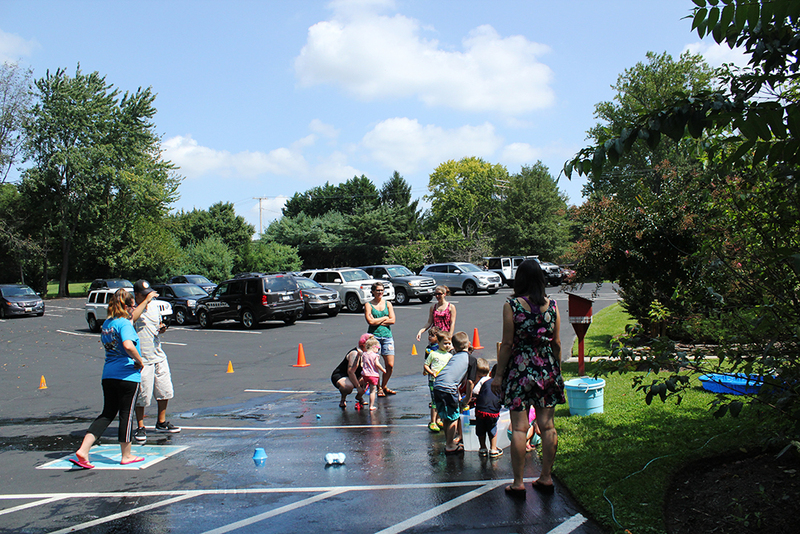 The parents have just as much fun as the kids, which is just one of the reasons why CNS is such a wonderful school! 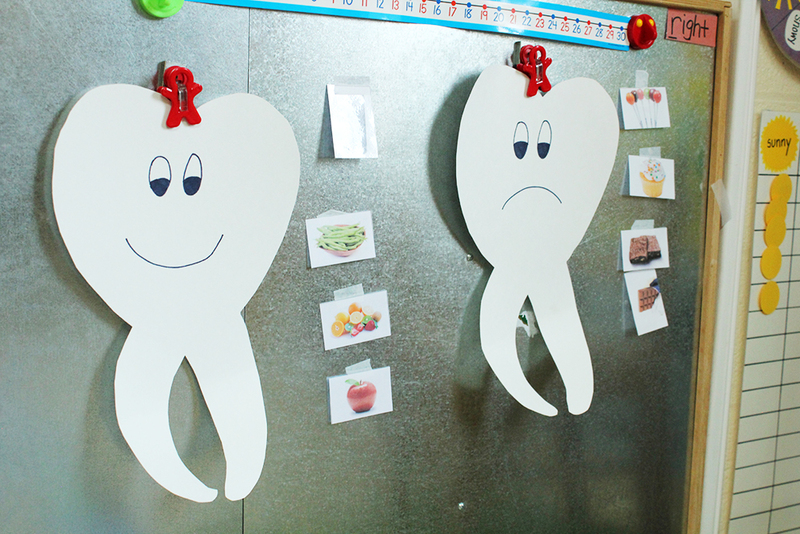 Today our 3-year-olds talked all about brushing their chompers and different foods that are good (or not so good) for your teeth! 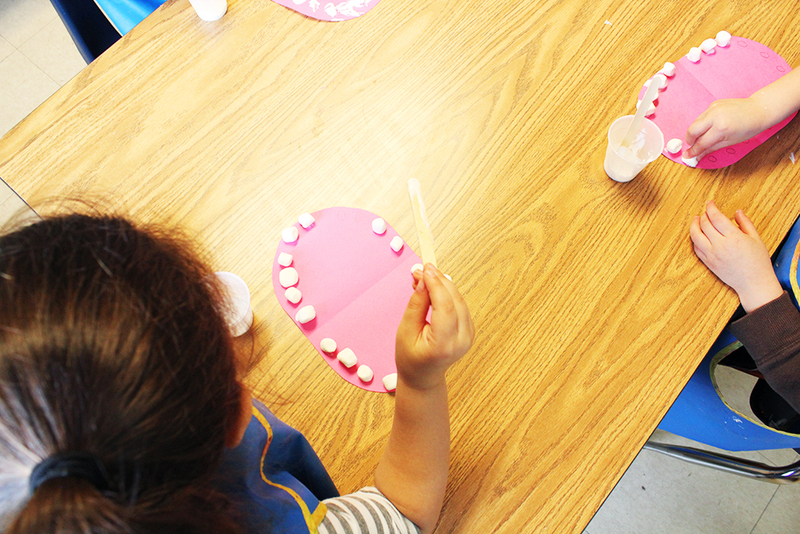 Ironically, they got to use marshmallows to make teeth in their art project! 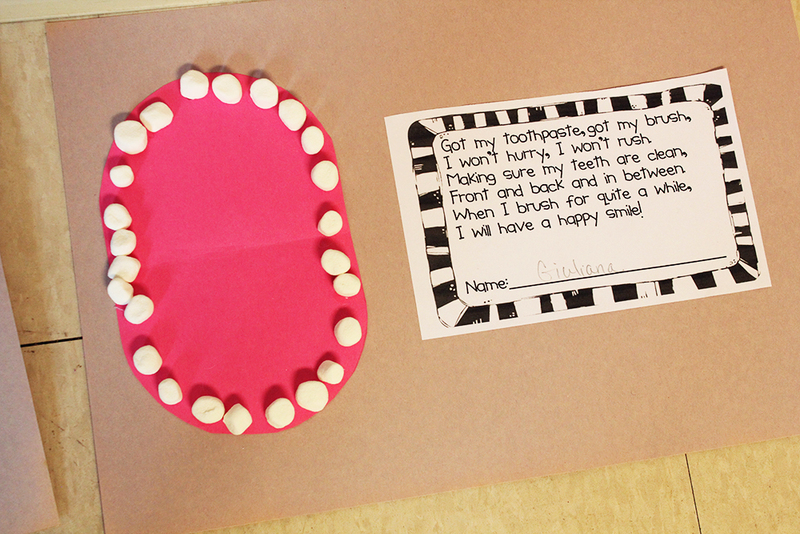 Mrs. Cartee also brought them coupons from the grocery store so they could pick out different foods, cut them out and then glue them on a large happy tooth or sad tooth. On their way out the door, they each got a new tooth brush and I think it’s the most excited I’ve seen my daughter about brushing her teeth in a long time. So thank you, Mrs. Cartee! 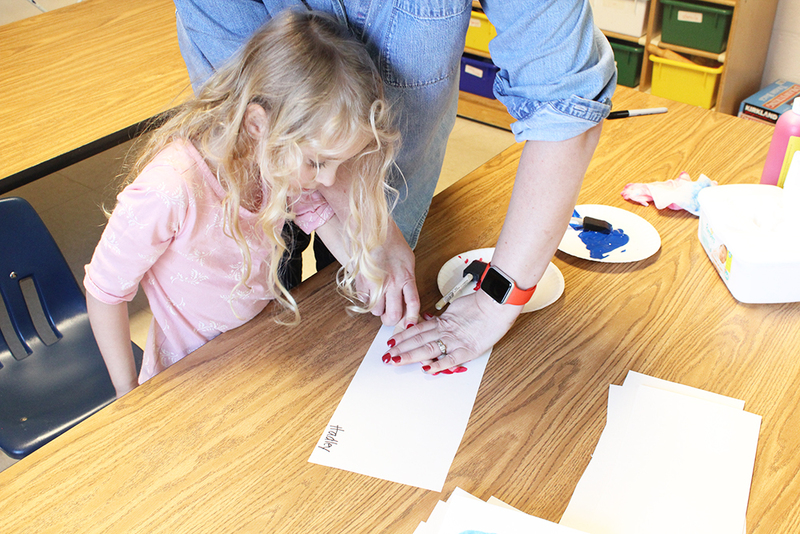 We celebrated Dr. Seuss’ 113th birthday in our classes last week and the kiddos had so much fun with all of the silly science projects, art work and stories all inspired by the author and illustrator. 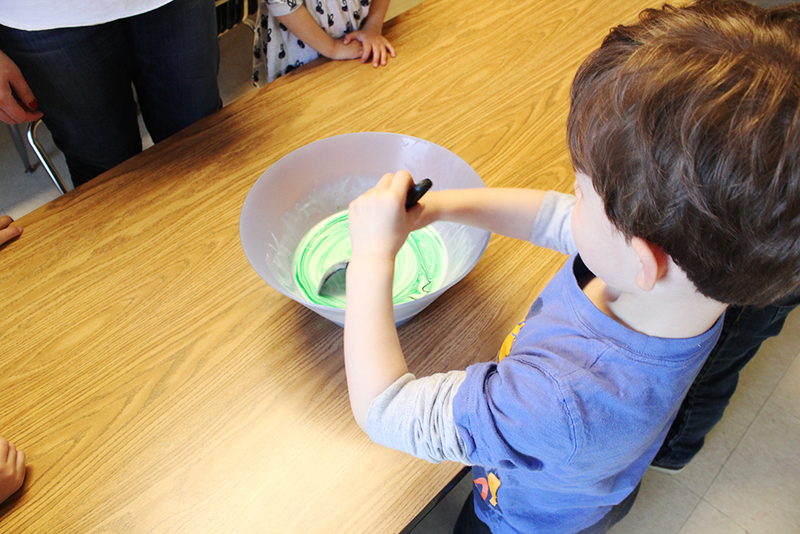 They even had their own helpings of green eggs and ham for snack, courtesy of master chef Mrs. Cartee, which was really entertaining to see who was brave enough to try it! The children made red and blue hand prints which we’re then turned into fish for a Red Fish, Blue Fish display. 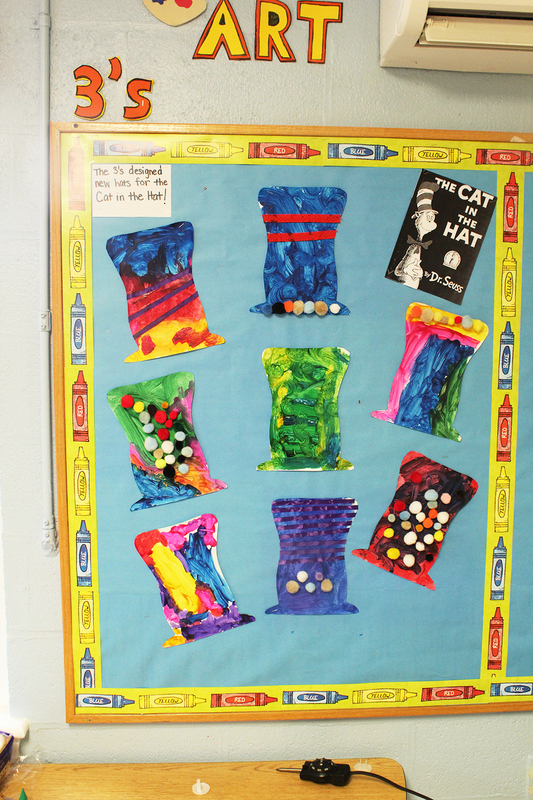 They also decorated their own hats for the Cat in the Hat. Bold colors and fun accessories we’re a must for celebrating such an eccentric story teller! 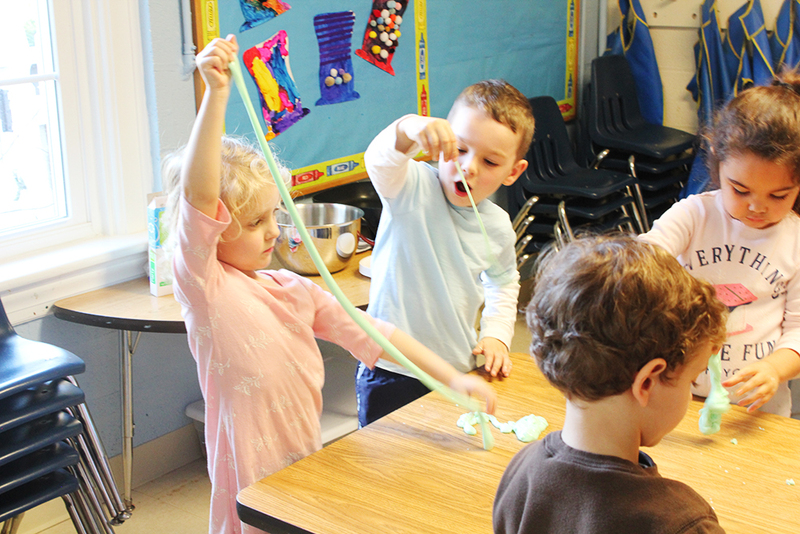 Using just 3 ingredients and some help from the adults, they also made silly slime as part of a little science experiment. I think it was the biggest hit of the day, with lots of happy faces and curiosity about this strange, slippery substance. 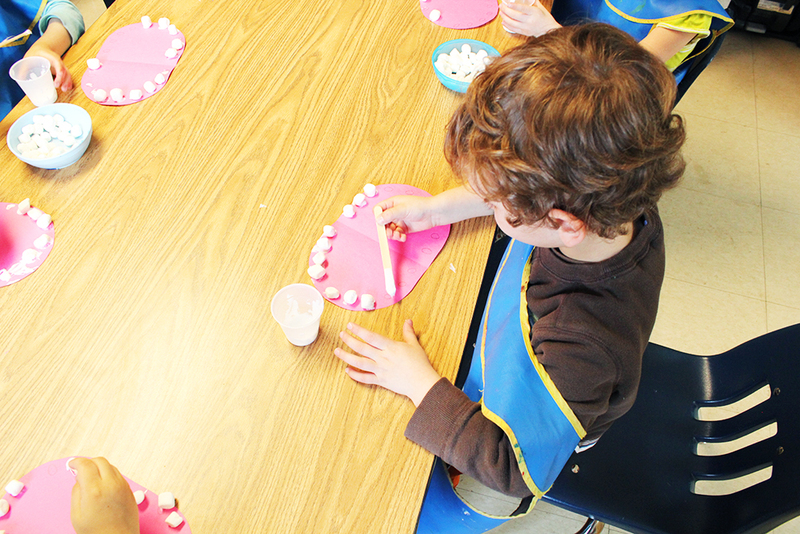 To make your own silly slime, mix 4oz school glue with 1/2 cup of water and a few drops of food coloring. Dissolve 1/2 teaspoon of Borax in 1/4 cup of warm water. Make sure to stir until the Borax is completely dissolved in the water. Then pour the borax + water mixture into the glue mixture. Stir in the bowl until it starts to become solid and then knead it together with your hands. If you have lots of little hands eager to play like we did, pour a bit into small ziplock bags and have the children knead it through the bag until it becomes more firm. Then remove and play! 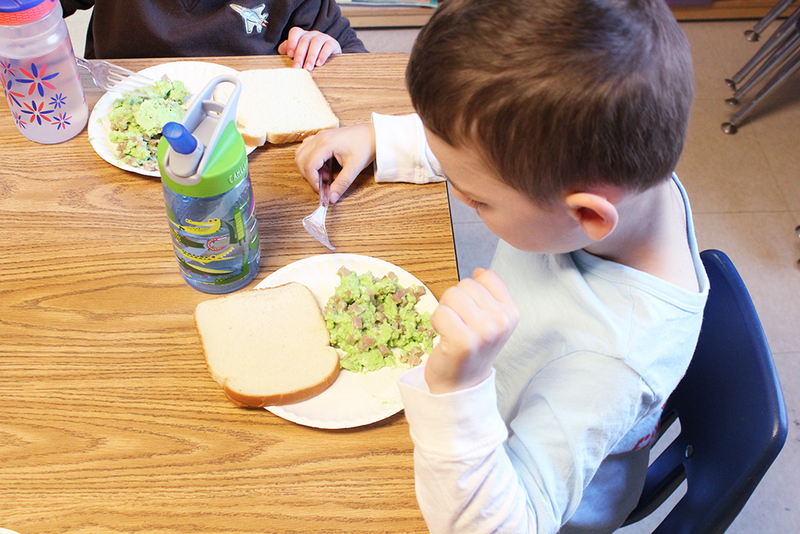 I couldn’t believe how many of the kids we’re willing to try the green eggs and ham! 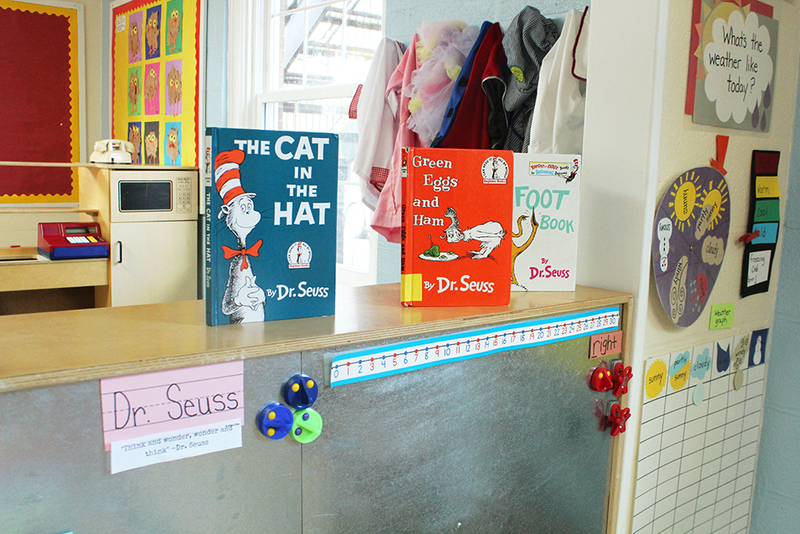 Thank you for your wonderful and wacky stories and illustrations, Dr. Seuss! Knowing the alphabet is more than just learning your ABC’s. 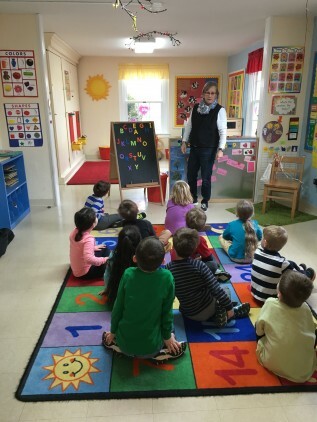 Many kids memorize the alphabet song at a young age without knowing all of the individual letters. 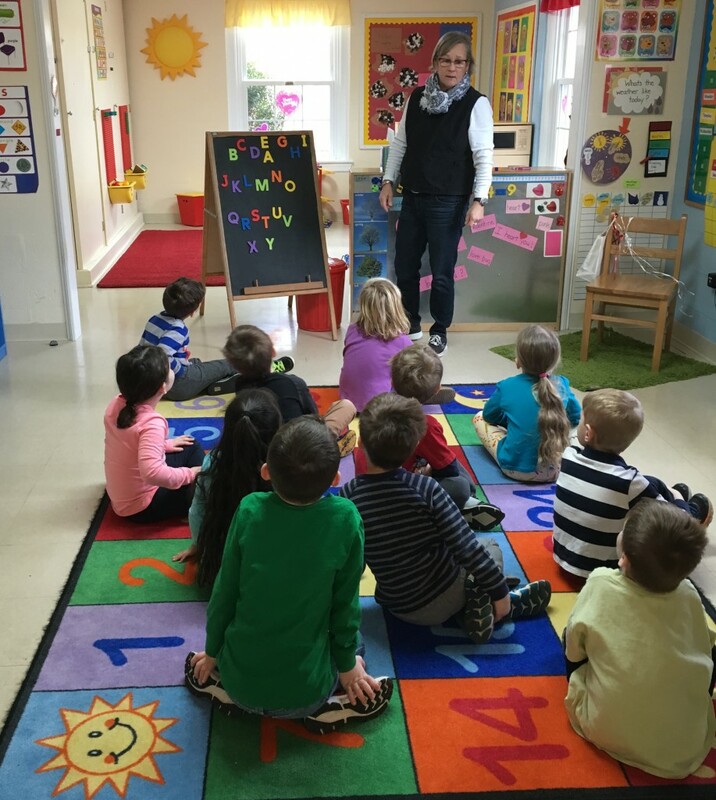 Mrs. Scott-Kem had a fun and exciting lesson to test our 4’s classes alphabet skills. 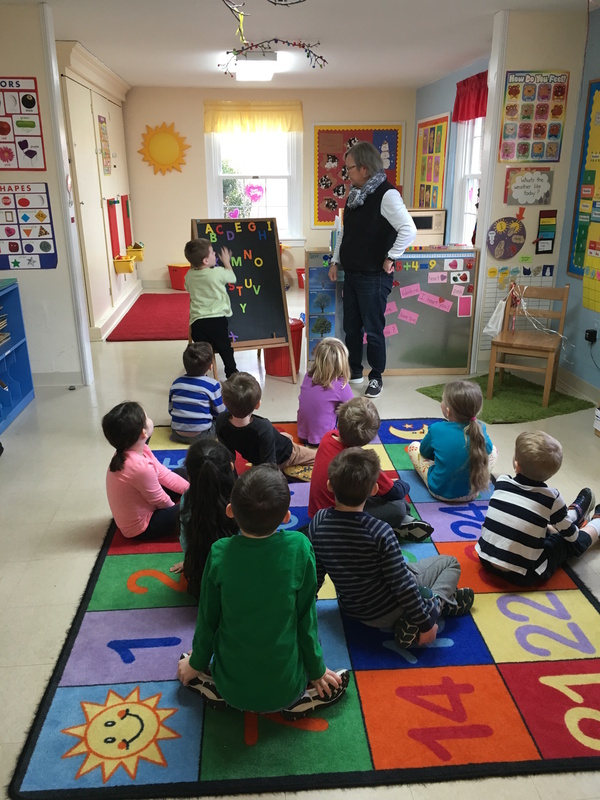 While the kids covered their eyes, Mrs. Scott-Kem would mixed the letters up and the kids had to figure out the correct placement of each letter in the alphabet. For an added challenge she would remove some of the letters so they would have to solve the mystery of what letter was missing and then place it in the right spot on the board. 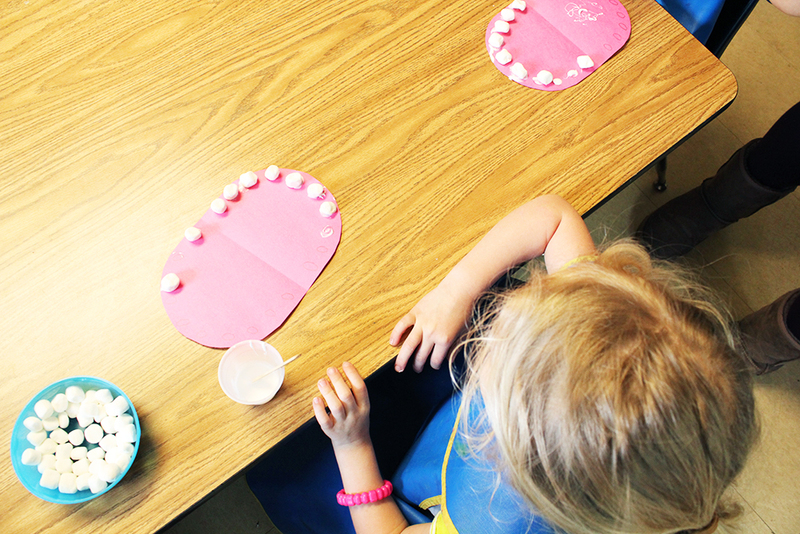 This was a wonderful activity for letter recognition, letter placement as well as counting and problem solving. 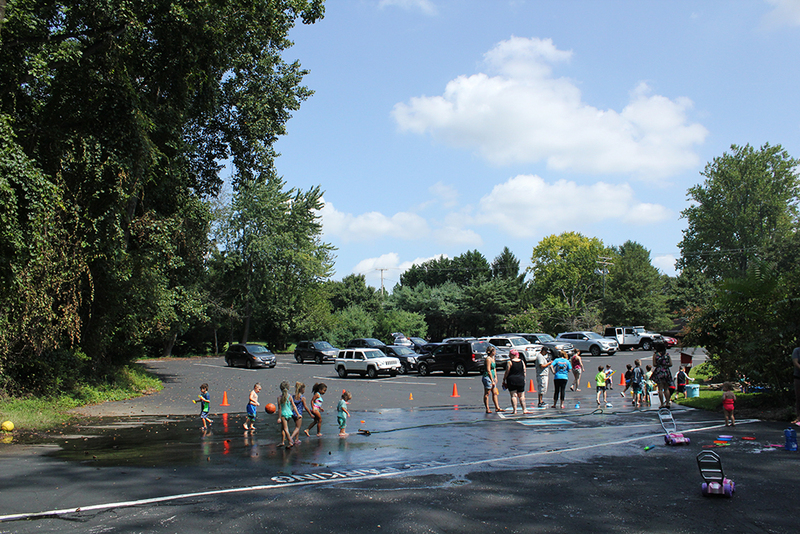 The kids had a blast and so did the grown ups!